LUSH products are not just a step above many other body care brands on the market, they’re designed to make improvements! If you walk into a LUSH store you’ll notice how kind and informative their employees are. They’ll assist you from start to finish in finding the perfect blend of body goodies just for you. A majority of their packaging is made from 100% recycled plastic, created with natural ingredients, and cruelty free. Did I mention everything smells amazing?! In this post, I wanted to introduce you all to my favorite LUSH products and how they’ve helped me. 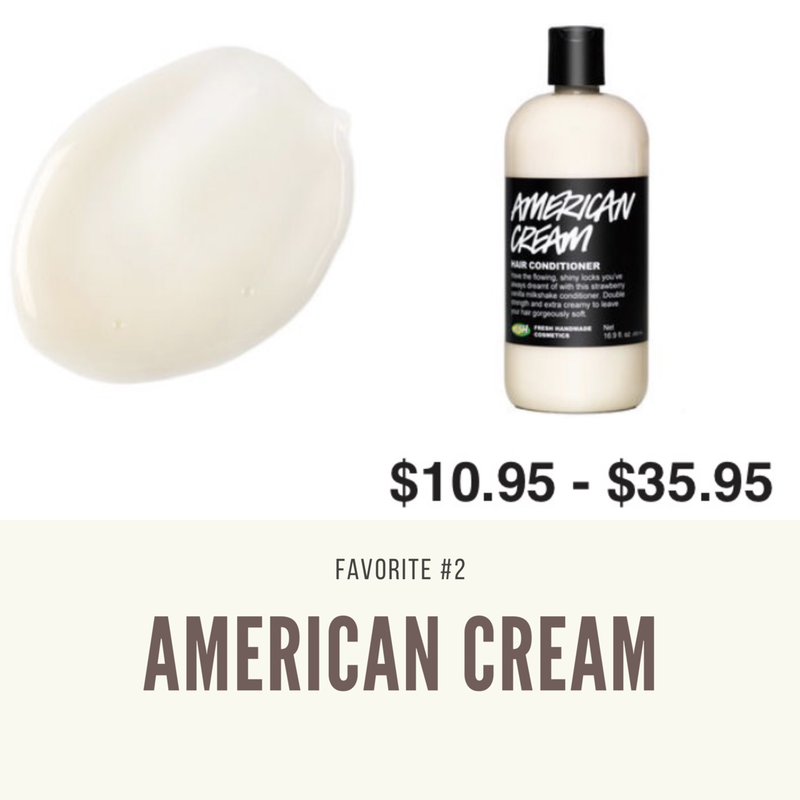 If you’ve never been to LUSH or are eager to start trying their products, I’ll leave links below for you to check them out! My hair has always been very dry. Mainly because I’ve done a lot of damage to it. I blow dry, straighten, and curl my hair throughout the week. There’s no denying the styling has been hard for my hair to handle and I’ve gotten a ton of breakage recently! I wanted to find a product that could fix this. I’m happy to report, the Fairly Traded Honey Shampoo solves all my problems. This shampoo moisturizes, softens, and brings life back to my hair. Oh, and can you guess the main ingredient? Honey of course! LUSH describes the ingredient as, “…a humectant which means it attracts and retains moisture on our skin and hair”. This dreamy conditioner is introduced as a vanilla-strawberry scent but in my opinion smells more like fresh baby powder. The main ingredients in this concoction include fresh strawberries, oranges, and honey water. It took some time for me to grow on this product because of how thick the consistency is. I’m familiar with hair care products that feel more slimy and watered down. American Cream is the exact opposite. When I use this product in the shower, I feel refreshed and my hair comes out being manageable. It’s just a different feeling compared to other products that I’ve used. This is one of my favorite classic LUSH products. 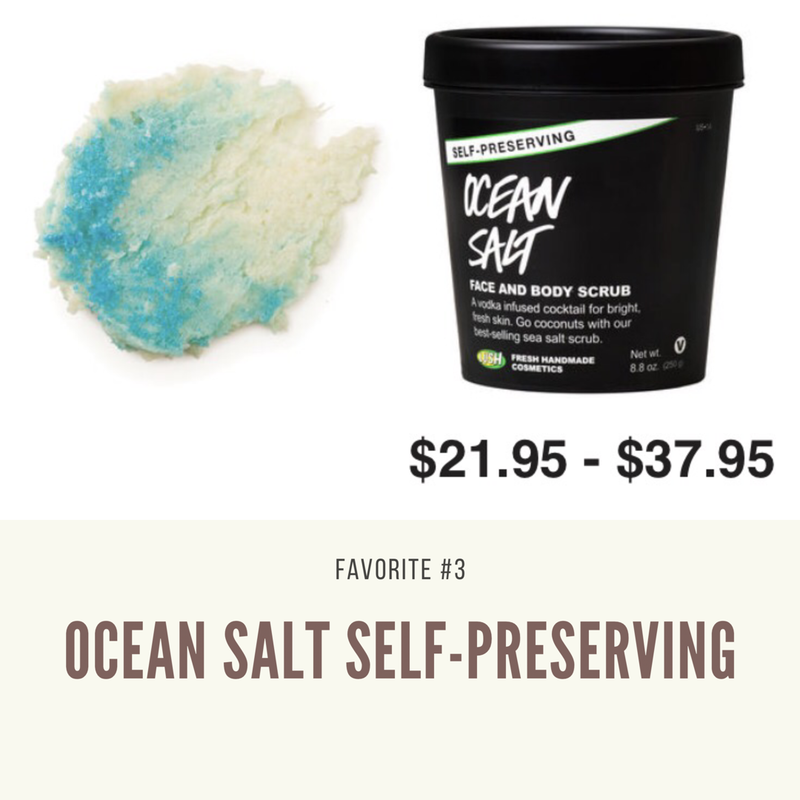 Ocean salt is a finely textured face and body scrub. I love this product because it’s gentle yet effective. The tiny grains of salt give you the perfect scrub down wherever you need all while still being considerate of sensitive areas. Keep in mind this product is vegan and is free of synthetic preservatives too. Woo hoo! Say hello to the most refreshing face mask you’ll ever find. Again, this is one of those LUSH products known for being sensitive on the skin. The mask is smooth to put on and non abrasive in texture. 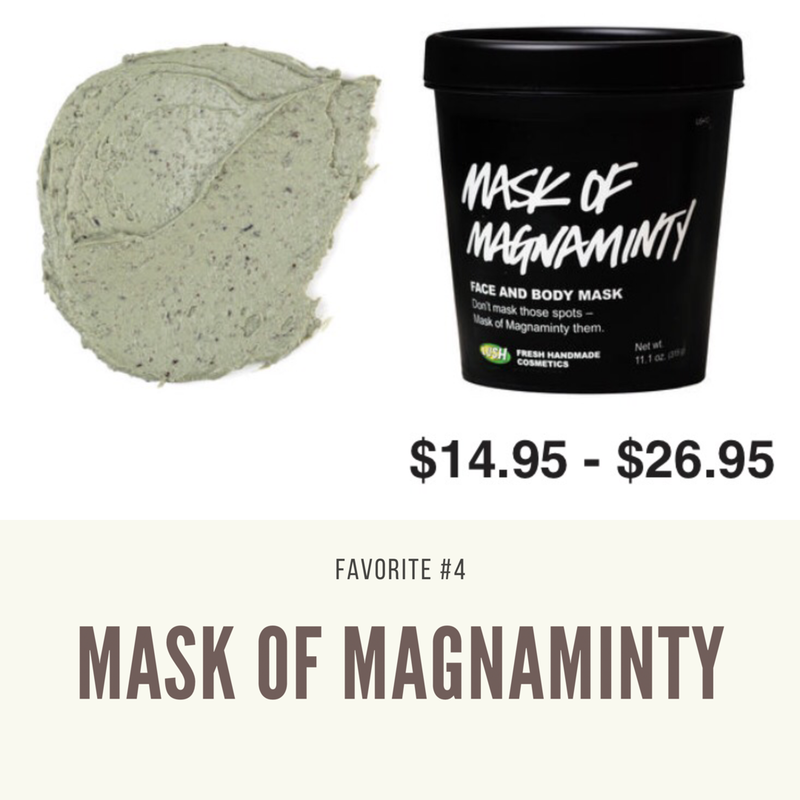 The minty, tingling, cooling sensation you get during use stays true to the name of this mask (peppermint oil is one of the main ingredients). Another great face and body mask I thought I’d share my thoughts on! I saw this in stores and couldn’t reach for it quicker. I’m a coffee addict, no doubt. So, I was intrigued when introduced to this product. 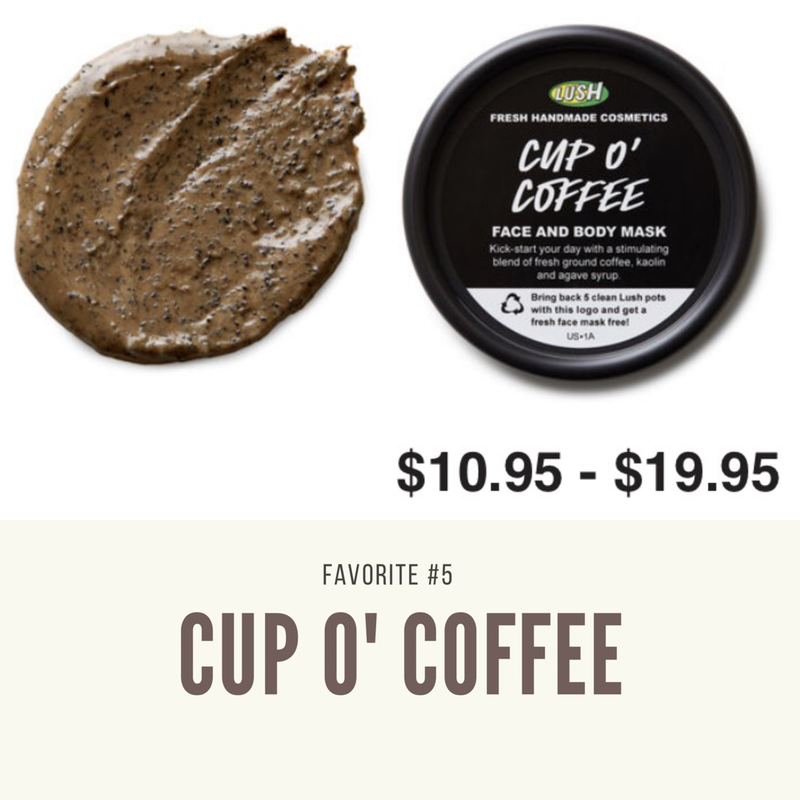 Coffee grounds make this mask a thick treat for your face and scrubs away dryness leaving a glowing canvas. I love to pamper myself with this mask while taking a relaxing morning bath. It really has a way of waking you up!